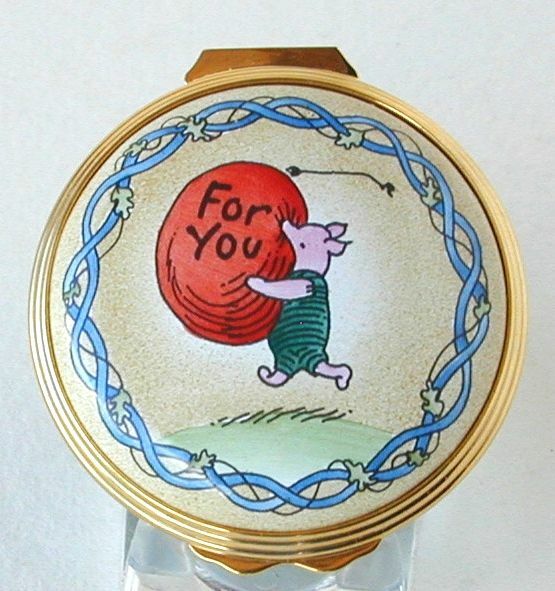 Piglet is racing to the party with a ballon just for you. 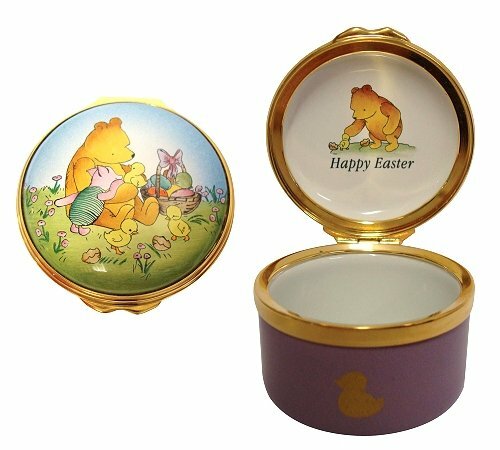 Just in time for Easter Pooh and Piglet have been joined by several Easter chicks. 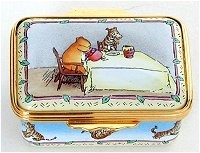 Base of box is a lilac color and is brighter than the picture shows. Made in England by Bilston and Battersea. 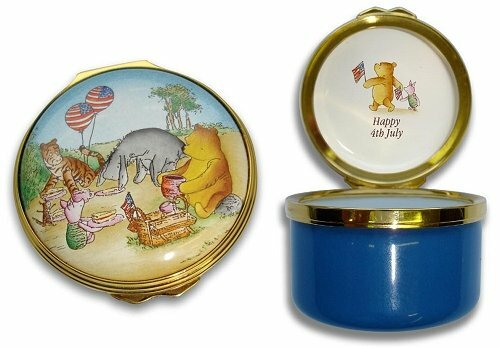 Pooh, Piglet, Eeyor, Tiger, and Roo are celebrating the holiday with a patriotic picnic. 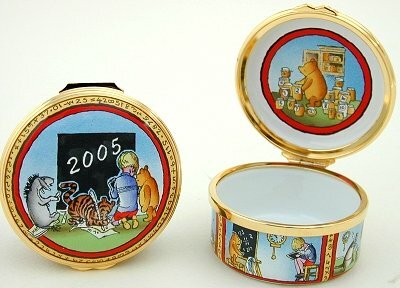 Large photo shows the inside of the box where Pooh and Piglet are parading with flags. 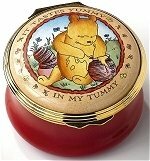 Pooh and his honey are never far apart. 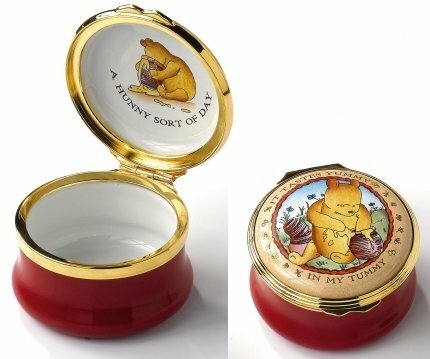 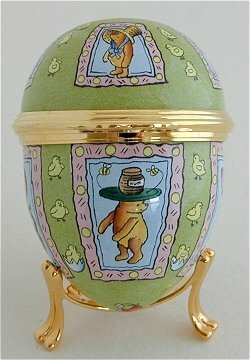 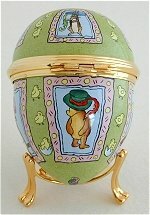 Cute box with Pooh and two hunny pots of the outside. 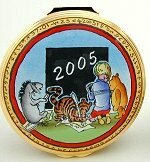 He was descending the stairs in the first edition, bathing in the second, now it's time for Winnie and his friends to go to school in this, the third enamel in the annual series. 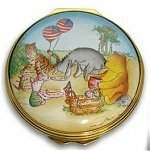 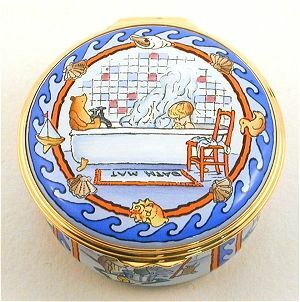 The second dated box in this series - Christopher Robin, Winnie the Pooh and his friends enjoy bath time.